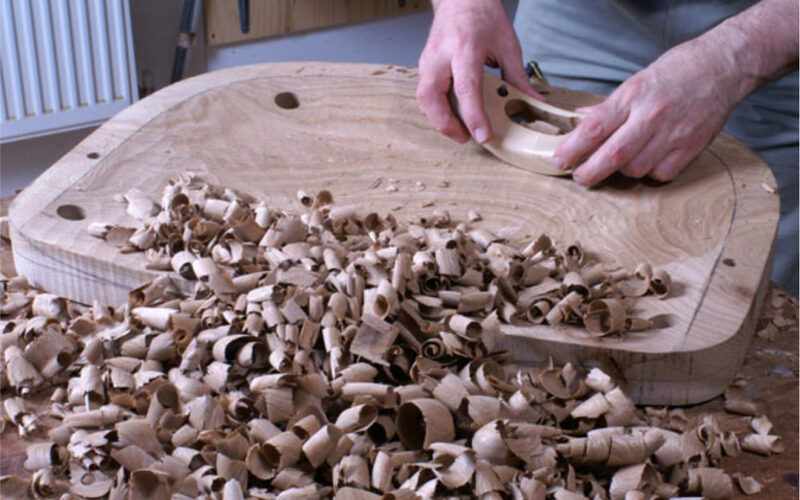 James Mursell developed his travisher for shaping Windsor chair seats over a period of ten years, working through several prototypes to reach this final form. 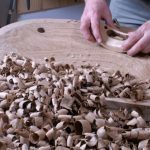 He has been making and selling the ‘Wood‘ version for many years to makers all round the world. Then at the end of 2018 he produced two new versions, the ‘Deluxe‘ and ‘Black‘. These are made of new materials and broaden the range. The Travisher Deluxe is made of Delrin with a brass insert fitted in front of the blade. 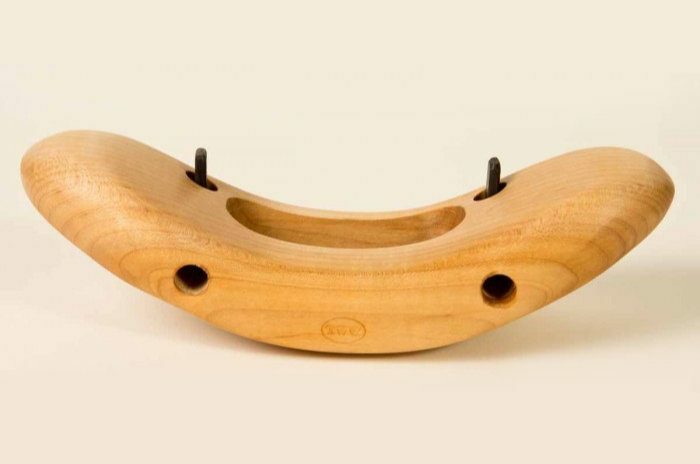 It is a premium tool designed to last a lifetime of normal use. 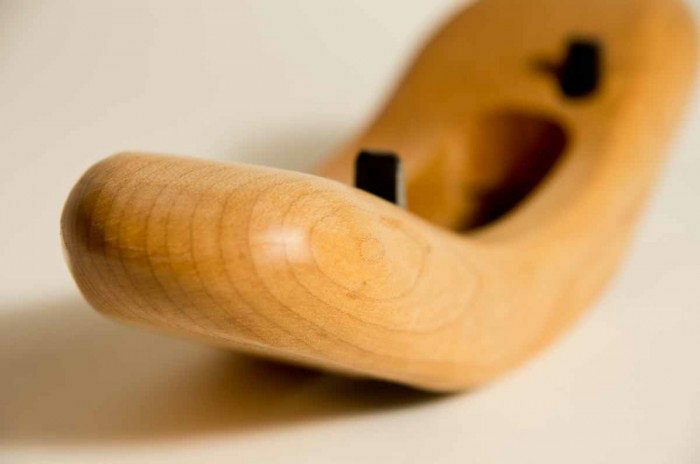 The Travisher Wood has a hard maple body designed to fit easily in the hand. It’s a joy to use and a thing of beauty! The Travisher Black is the base model of the range. 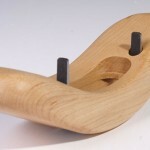 The ergonomic shape is the same as the ‘Wood’ and ‘Deluxe’ versions and will last as long, if not longer, than the wood. 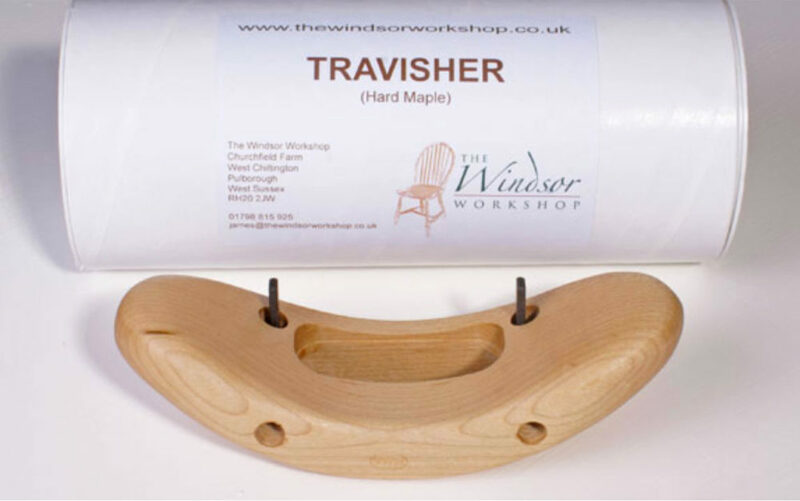 For hollowing Windsor chair seats in softer woods such as pine and tulipwood the travisher is the only tool needed; but the use of an adze or Arbortech will speed up the work in harder woods such as elm, prior to using the travisher. There is no need to use a scorp at any stage. 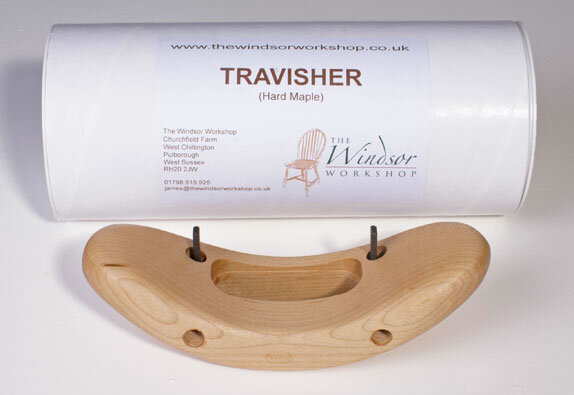 The travisher is excellent for creating a textured surface on sawn boards of any wood. 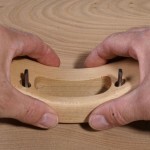 The amount of texturing can be adjusted by altering the depth of cut and using the tool across the grain of the wood. 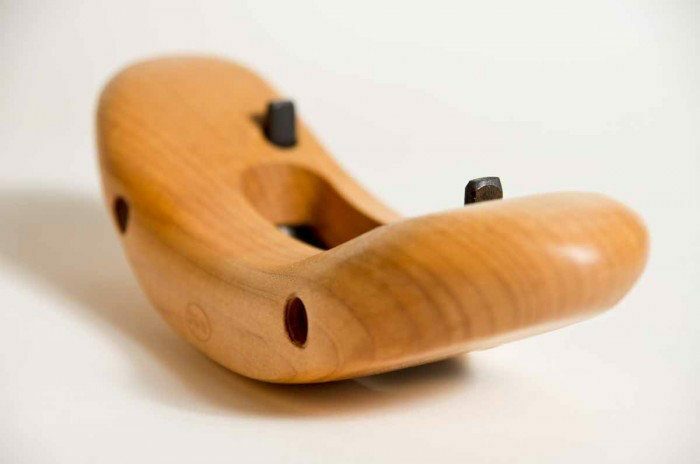 The effect is similar to that achieved with a scrub plane. 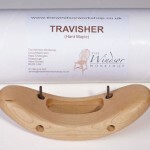 The back of the travisher is solid wood or Delrin, just where the thumbs need to be placed to push the travisher. 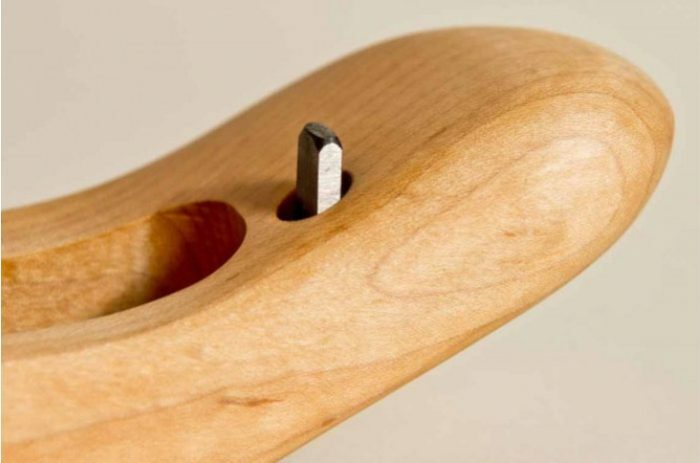 This is not only comfortable, but by pushing just behind the blade the tendency of the tool to tip over in the direction of travel is almost eliminated. Shavings are ejected through the top of the travisher. 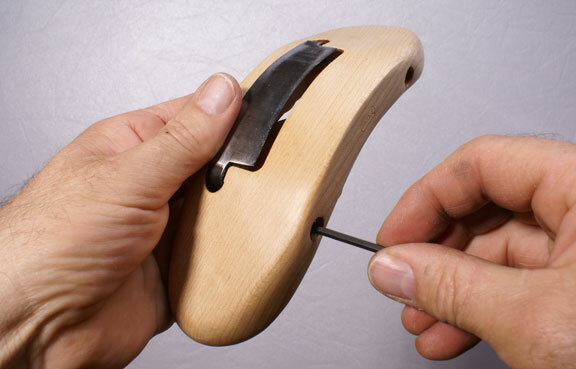 The blade can be set precisely by loosening and re-tightening the grub screws set into the front of the body. 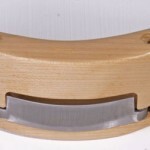 Even when the blade is set for a heavy cut, it is easy to make fine finishing cuts by adjusting the pressure on the blade and skewing the body to the direction of travel. The blade is individually hand forged by master blade-maker Ben Orford from O1 high carbon tool steel and comes sharpened ready for use. 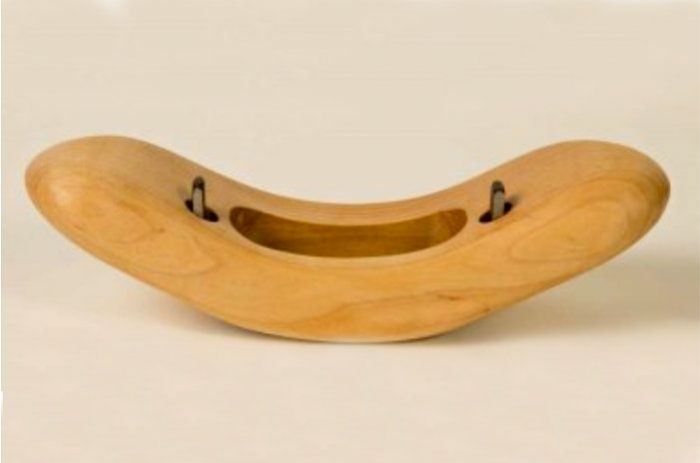 I recently purchased one of your travishers for use in the Continuous Arm Windsor Chair Class I teach at the Melbourne Guild of Fine Woodworking, in Victoria, Australia. The item arrived promptly and well packaged with straight forward instructions on assembly of the nicely honed blade to the body. The travisher worked seamlessly and cut fine ribbons at angles on the seat that I had previously not achieved with similar tools. 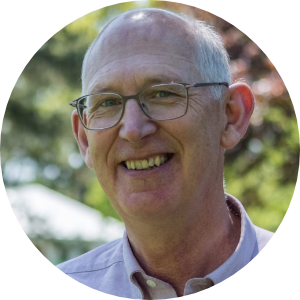 Suffice to say your Travisher was coveted by all students during the class, with one student buying his own immediately afterwards! 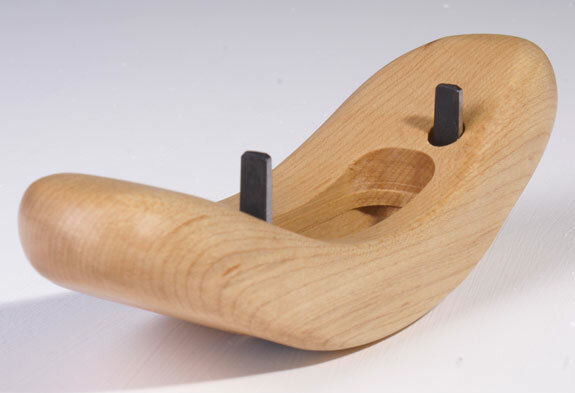 A fine product which would compliment any chair maker’s tool chest.